We are a leading manufacturer and supplier of a broad compass of high quality Dry Cleaning Machines. The range made available by us composes of best quality in international standard with flawless design and high durability that are sourced from the most genuine merchants of the market. Offered at reasonable prices, our product-line is talked about for its handsome sizes, picture-perfect finishing and high-ranking durability. 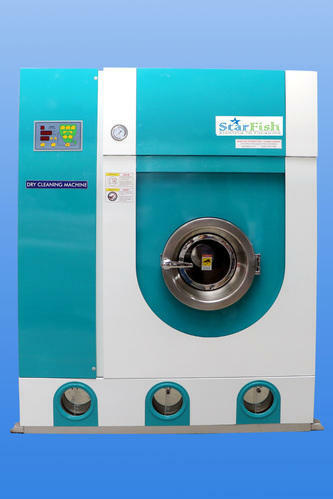 Sara Equipments - Our StarFish PERC Dry Cleaning Machine adopts imported high-quality stainless steel, including oil storage tank at the bottom, drying passage, and the position touching Tetrachloroethylene. Our manufactured design from Germany with reasonable structure, precise workmanship, fashionable style, and paint with imported high-class auto-dope makes the machines look elegant. Our machines are used not only in garment washing units but also uses in all types of Hotels, Hospitals, Institutions, Schools College Hostels etc., where bulk quantity garment dry cleaning is to be done . 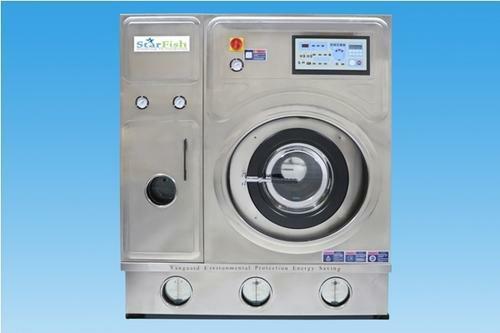 Being a result oriented enterprise; we are offering a wide assortment of Dry Cleaning Machine. Our manufactured Dry Cleaning Machine is demanded for its minimum energy consumption, auto timed. This cleaning machine is manufactured with high quality raw material and progressive technology. Offered cleaning machine is highly demanded in the market for their remarkable features like auto reverse, no solvent dripping. Our machines are used not only in garment washing units, but also uses in all types of Hotels, Hospitals, Institutions, Schools College Hostels etc., where bulk quantity garment dry cleaning is to be done. Our machines are used not only in garment washing units but also uses in all types of Hotels, Hospitals, Institutions, Schools College Hostels etc., where bulk quantity garment dry cleaning is to be done. Due to continue improvement the company reserves the right to change the specification and model without prior notice. 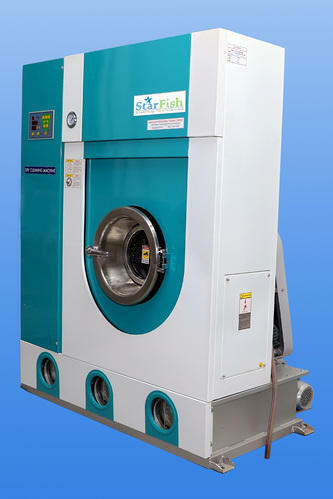 PERC: Our StarFish PERC Dry Cleaning Machine adopts imported high-quality stainless steel, including oil storage tank at the bottom, drying passage, and the position touching Tetrachloroethylene. Our manufactured design from Germany with reasonable structure, precise workmanship, fashionable style, and paint with imported high-class auto-dope makes the machines look elegant. 4. Our machines are used not only in garment washing units, but also uses in all types of Hotels, Hospitals, Institutions, and Schools College Hostels etc., where bulk quantity garment dry cleaning is to be done. 5. Due to continuing improving the company reserves the right to change the specification and model without prior notice. Our PERC Dry Cleaning Machine adopts imported high-quality stainless steel, including oil storage tank at the bottom, drying passage, and the position touching Tetrachloroethylene. Our manufactured design from Germany with reasonable structure, precise workmanship, fashionable style, and paint with imported high-class auto-dope makes the machines look elegant. Looking for “Dry Cleaning Machines”?